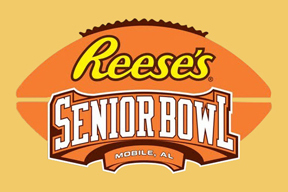 David’s Senior Bowl Dreams Come True! 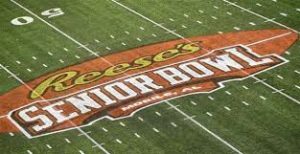 Center for Independent Futures participant David Kromelow has been dreaming for three years about attending the Senior Bowl, a post-season college football all-star game played each January in Mobile, Alabama. The event showcases the best NFL Draft prospects of those players who have completed their college eligibility. The game has consistently been played on a Saturday in January, and the week-long practice that precedes the game is attended by key NFL personnel (including coaches, general managers and scouts), who oversee the players as possible prospects for pro football. Last year, David just didn’t feel it. 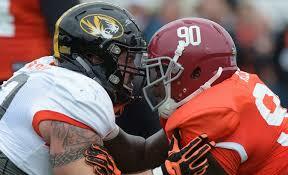 This year he achieved his Senior Bowl dreams. “I wanted to go because it would be a great experience to network and interact with people in the NFL and in the journalism business,” explains David. To get himself ready, David spent a lot of time over the course of the past year practicing his craft by hosting a weekly podcast and reaching out to guests via social media. He worked hard on his podcast and website to push out content and to stay on top of all the important NFL news, and to connect with others in the industry. You may also find David’s podcasts on iTunes, the Apple Podcast App, Spotify, or wherever you listen to podcasts. Search “Sports Krunch” to find the entire podcast listing.